Creating a wide open work environment can solve a lot of problems, but there are a few risks to watch out for when implementing the change. Below, Elizabeth Dukes shares what to look out for. Open space in IdeaPaint’s new Boston HQ, designed by Fusion Design Consultants. Photo courtesy of IdeaPaint. Having a wide-open workspace isn’t enough. You have to make changes with an eye to the needs of your workers. 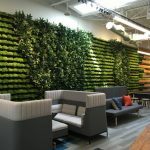 While some workers require quiet offices where they can focus without interruption, others are the exact opposite and will need a collaborative space where they can communicate freely. If the wrong employee is put in the wrong environment, chaos can ensue. So how do you know what your workers need? Simple: ask. If you assume, and assume wrong, you risk making your employees unhappy and, thus, less productive.For starters, make sure those who work together are located near each other, but also create spaces that allow employees that may never work together the opportunity to gather and connect. This is key for easy collaboration and sharing of ideas. Make sure your employees feel safe. This may seem like common sense, but it’s worth a mention. If employees are worried about the safety of the building — or of their belongings — they’ll never be able to get anything done. Assuring this may require advanced facilities management solutions to monitor security risks, but employers need to do what it takes to ensure the safety of their workers. This is not the place to skimp. People don’t like change. In fact, they may be afraid of it. Address this head on. After all, their fears are grounded in reality:they face being forced to learn new software tools, and analyze and change work processes.The key is to present everyone involved with enough information to convince them of the value the change. Be sure to have all of your research and information in order before approaching anyone with major changes. Your job will be to convince them of the value of the new structure, but also the downsides and unnecessary cost involved with your current layout. It may also help to roll out changes in several stages so as to minimize the shock of such major upheaval. Regardless your organization’s size or industry, you will most likely meet some resistance when it comes to changing the layout of your company. The key is to identify your individual needs and devise a game plan that meets them. Be forewarned that the risks don’t stop once implementation is complete. Be willing to change and adapt as you go, and be prepared to continue defending the value of these changes. Careful preparation from the beginning of the process is critical to the success of both your new workplace and the workers within it. Well said Elizabeth! I encounter these situations frequently as part of my job. Although open work environments have great benefits (I personally find it quite refreshing to be less clausterphopic! ), it is not ideal for certain job tasks. Communication and user feedback is key to implementing such spaces successfully. The pushback is inevitable but if the users have some say and accountability, they will be more likely to be receptive to the change. Like I always say, if a company is encouraging an open collaborative work environment, why not “collaborate” during the design phase with those who will be using the space? Let’s face it cutting costs is the main reason companies do this and no one has just one kind of task all day every day. Not everyone can be productive doing tasks that need focused attention to detail in an open environment. I have friends who work in architectural offices who say that if they were to back up their chair bumps into the person behind them. The total lack of privacy can be just horrible. Forget about making a personal call, which does need to happen from time to time. I get that real estate in big cities is at a premium but human factors must be given greater consideration.